Juvé & Camps is a family-owned winery located in San Sadurní d'Anoia, a small town in the northeastern Penedès region near Barcelona. Founded in 1921 by Joan Juvé Baqués and his wife Teresa Camps Farré, the winery's three-generation history has resulted in an international reputation for producing top-quality Cava. The story of Juvé & Camps actually began over 200 years ago when Joan Juvé Mir, a bold and enterprising vine grower with ideas ahead of his time, laid the foundation for what would become the family firm. His son, Antoni Juvé Escaiola, carried on the legacy. There were many challenges, including the terrible phylloxera plague. Advocating replanting (as did other leading figures of the Penedès), he led a drive to restore the vineyards and to rebuild the region's wine production. Respected and loved by his contemporaries, his example encouraged his son, Joan Juvé Baqués, to build the family's first winery. Joan Juvé Baqués married Teresa Camps Farré, an exceptional woman and an enthusiastic supporter who, in 1921, inspired her husband to launch the first sparkling wine under the Juvé brand. It was made in the underground cellars beneath the family home in San Sadurní d'Anoia. 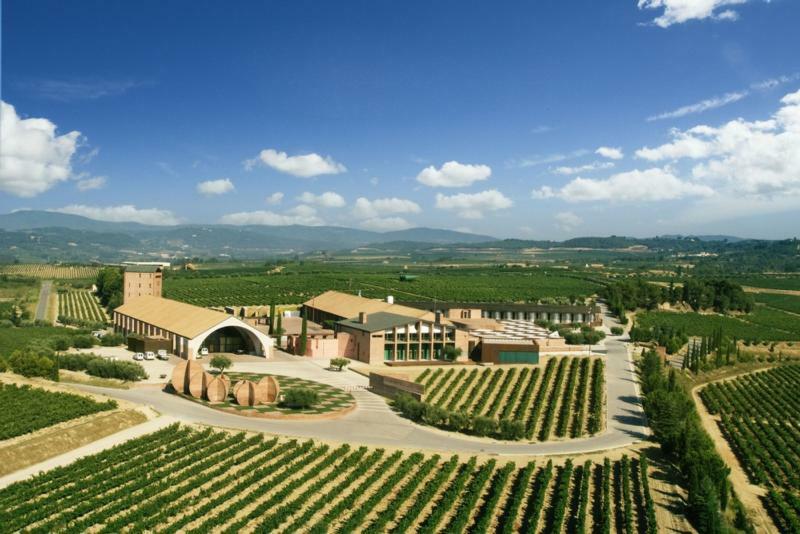 Today, Juvé & Camps has established itself as the most highly regarded Cava producer in Spain. Juvé & Camps wines are regularly served at state banquets given by Spain's Royal Family and are offered to visitors and guests by the National Government, the Senate and Congress. Pale gold in color, this Cava has aromas of mature white peach, toasted bread and green tea with hints of lemon citrus and apricots. Equally rich and broad, these flavors continue to unfold on the palate. Wine Advocate 90"My favorite is the non-vintage Brut Rose. Dark pink in color with a lovely nose of rose petals and strawberries, it is lively and fresh on the palate, with crisp acidity and a long finish. This excellent value can be served with a variety of savory courses and as an aperitif."